Gesner Estate Jewelry - Gesner Estate Jewelry is a family owned firm that has been in business since 1972. We specialize in antique & vintage gold and platinum jewelry from the turn of the 20th century to the late 1930's. 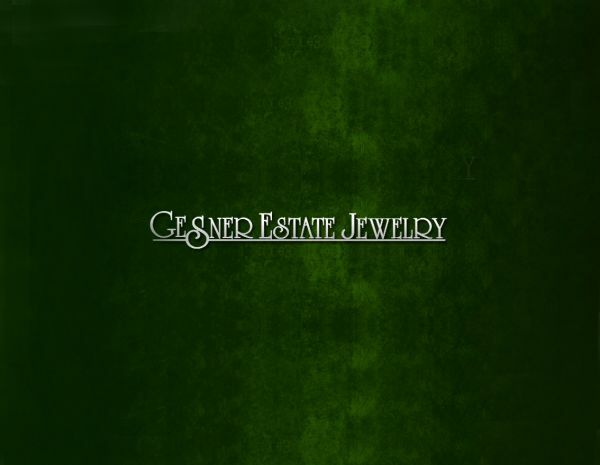 Gesner Estate Jewelry is a family owned firm that has been in business since 1972. We specialize in antique & vintage gold and platinum jewelry from the turn of the 20th century to the late 1930's. We offer certified appraisal services from our G.I.A. graduate. Graydon Gesner has his Graduate Gemology Degree, Accredited Jewelry Professional Degree, and the G.I.A. Pearl Grading Lab Degree. These studies were accomplished at the Gemological Institute of America (G.I.A. ), located at the Carlsbad, California campus which is the world's foremost authority on diamonds, colored stones, and pearls. He was an on campus student and excelled in all phases of his studies. Out of 11 G.I.A. campus locations worldwide, Carlsbad, California is the G.I.A. World Headquarters that brings students from all over the world. Please call the Tampa store at (813) 282-1008, or email Graydon at graydongems@gmail.com to schedule your appointment to have your jewelry professionally appraised. Graydon's website can be seen at www.gesnerappraisalservices.com. Jeffrey Zanger has been in the gem and jewelry trade for over 35 years. Since moving to Naples Florida from Los Angeles in 1988, he has been a wholesale gem trader.